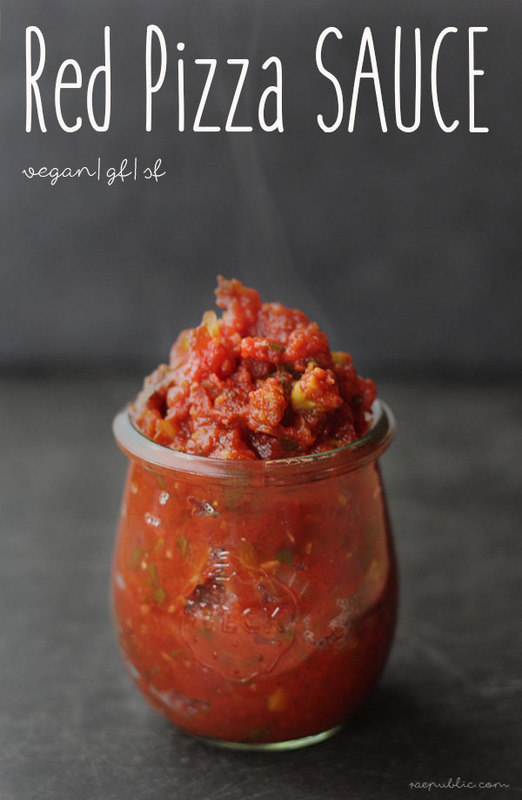 Easy, 5 ingredient vegan pizza sauce that is gluten-free and has no added sugar, so all can have a slice! This plant-based pizza sauce is also versatile and can be conveniently used as a pasta sauce. On top of being delicious, it's also nutritious. Did you know that red bell peppers are an amazing source of vitamin C? Line baking pan(s) with silicone baking mats. Bake tomatoes and bell peppers for 30 minutes or until they are well roasted. Put roasted bell peppers, tomatoes, basil and garlic into food processor and blend away. It's done! Yum yum! Get ready to spread it all over your pizza dough! Try this plant-based sauce recipe with our vegan Pizza Dough recipe and top with your favorite veggies! Make sure to follow me on your favorite social media platforms and comment below if you're lovin' this vegan pizza sauce recipe!